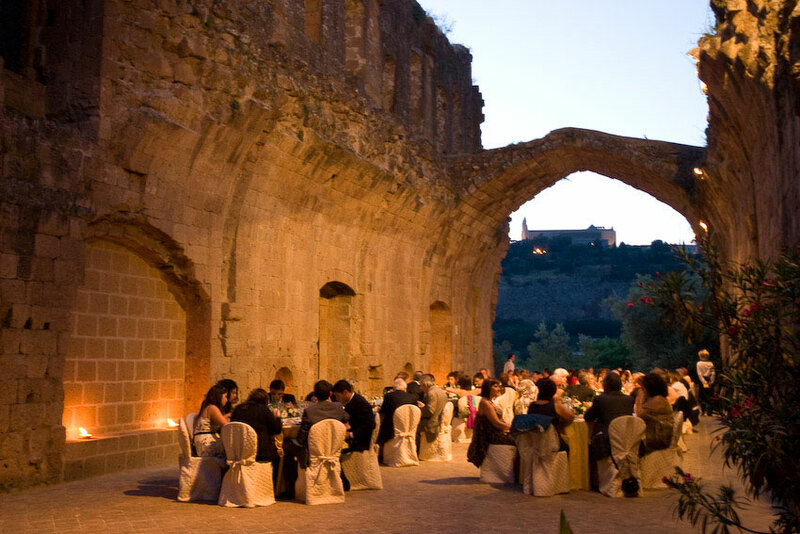 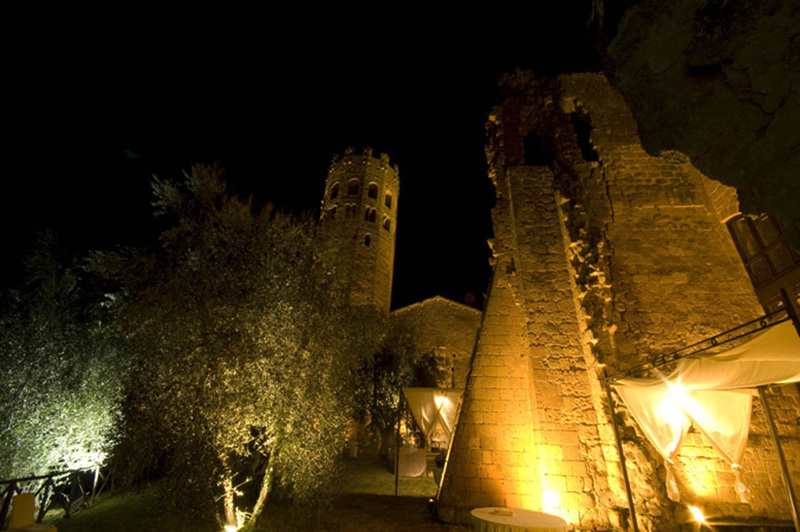 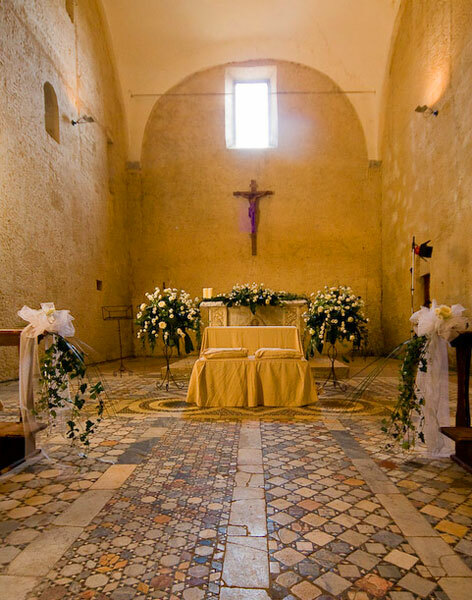 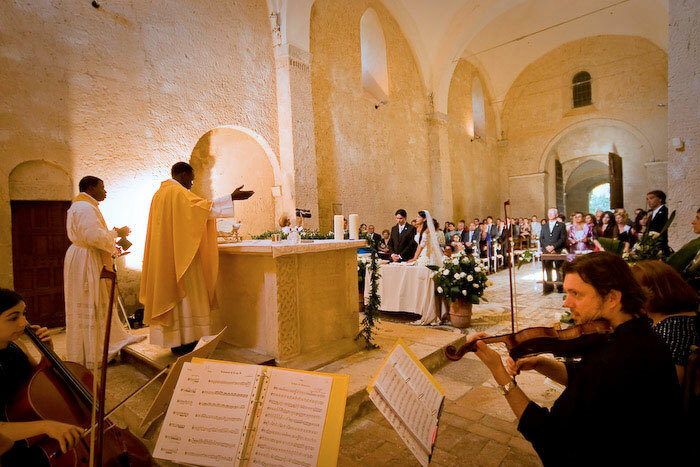 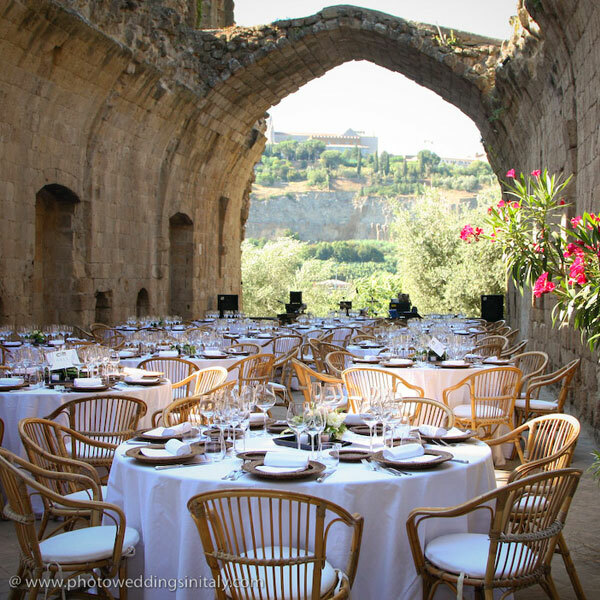 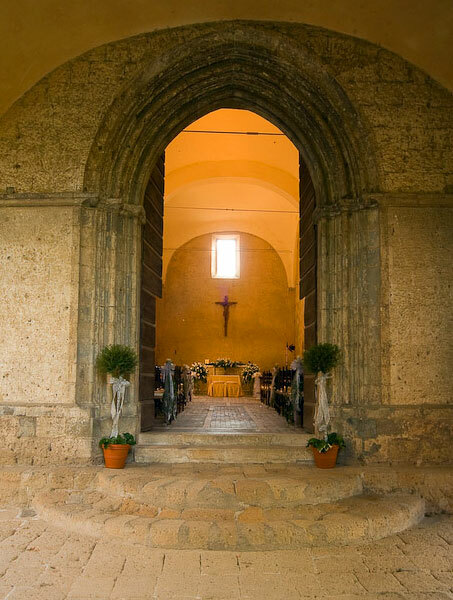 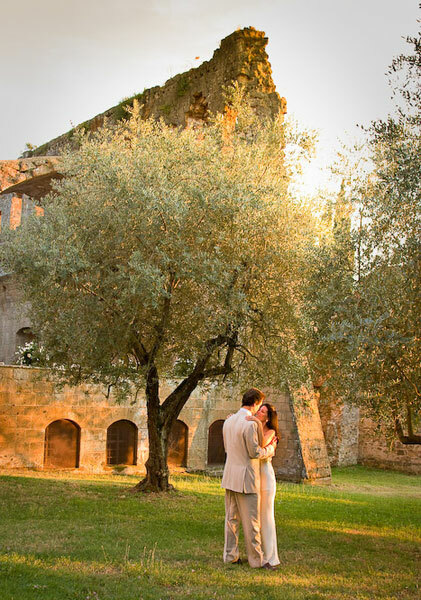 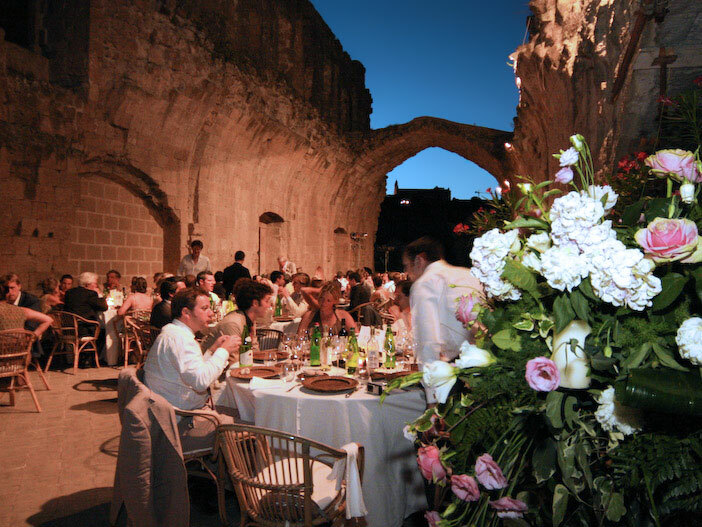 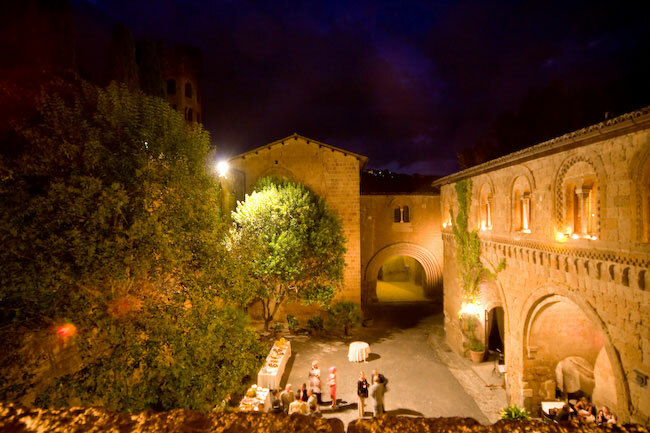 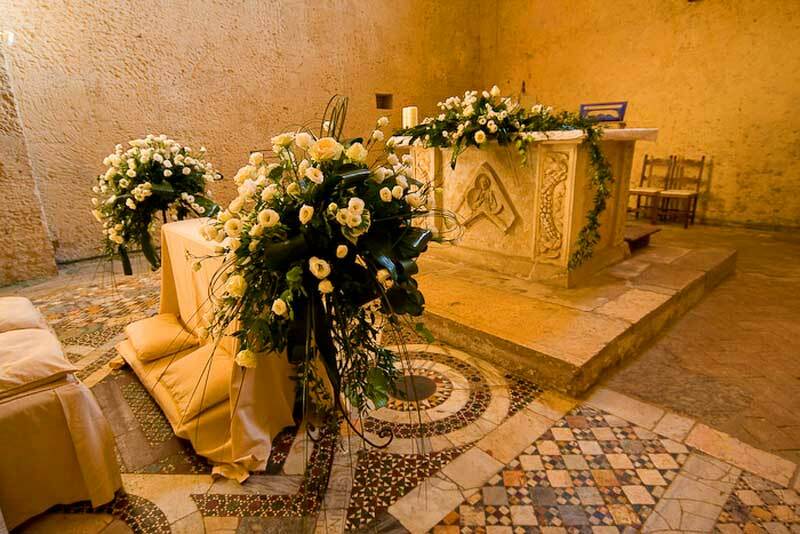 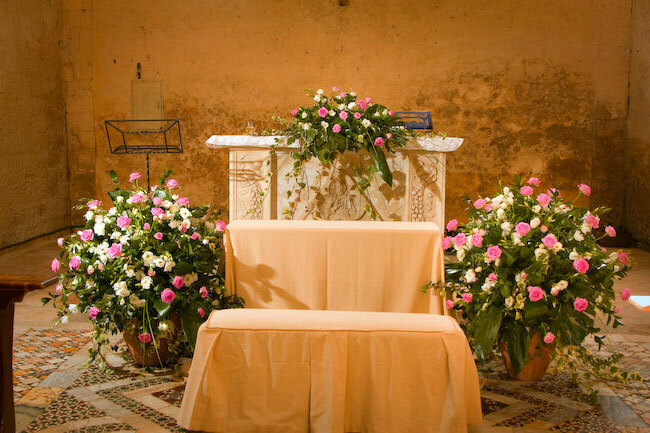 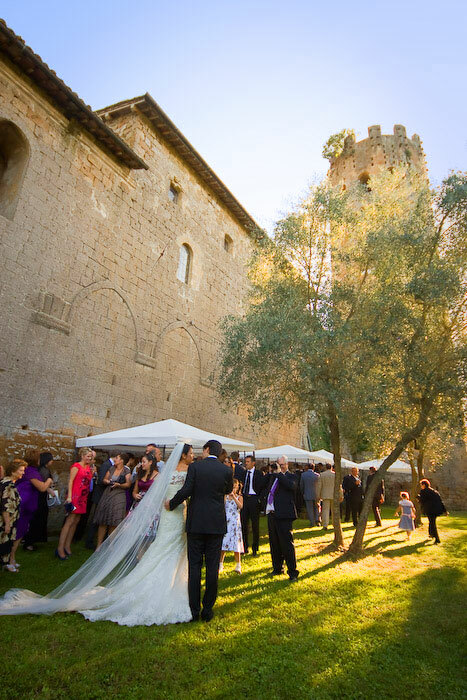 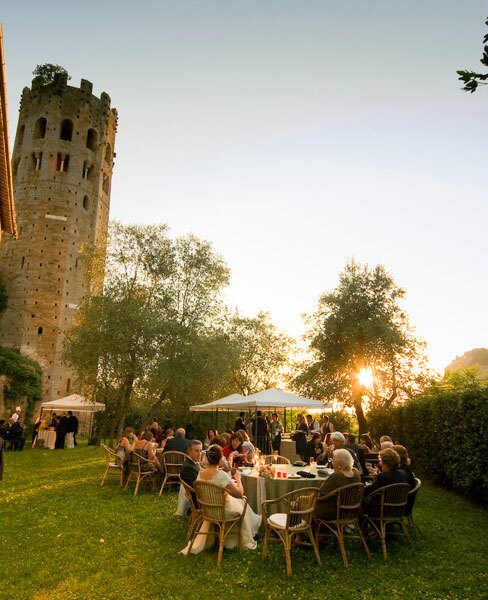 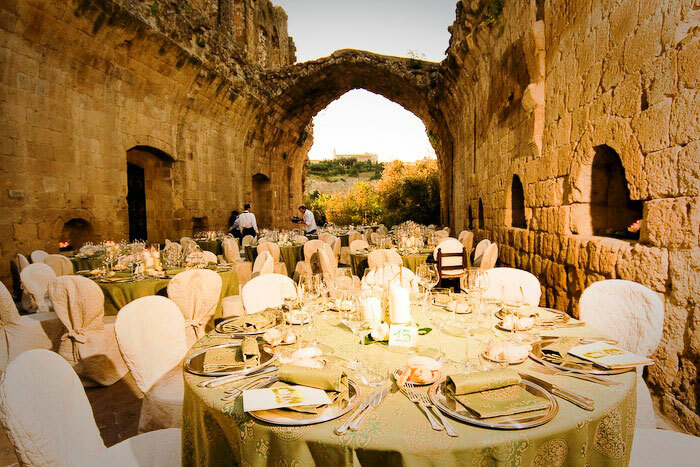 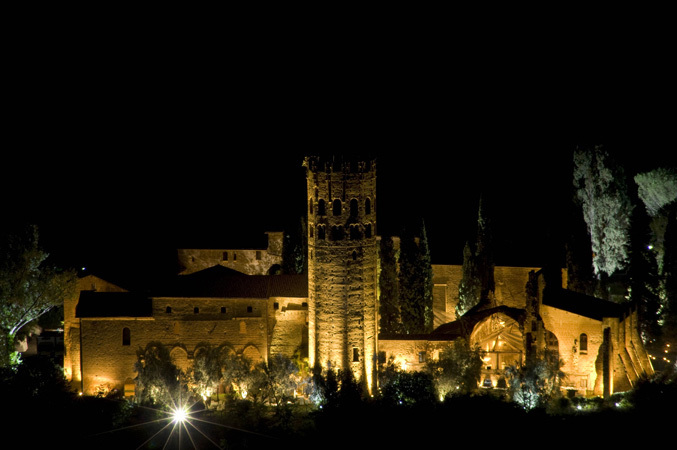 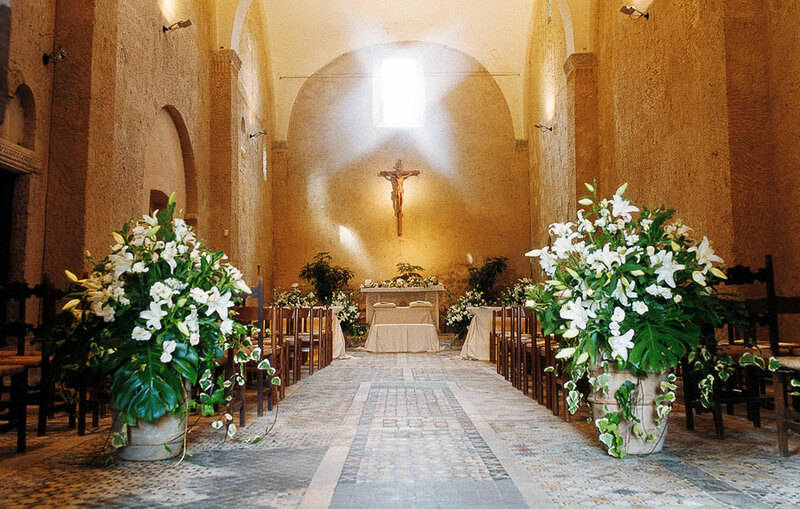 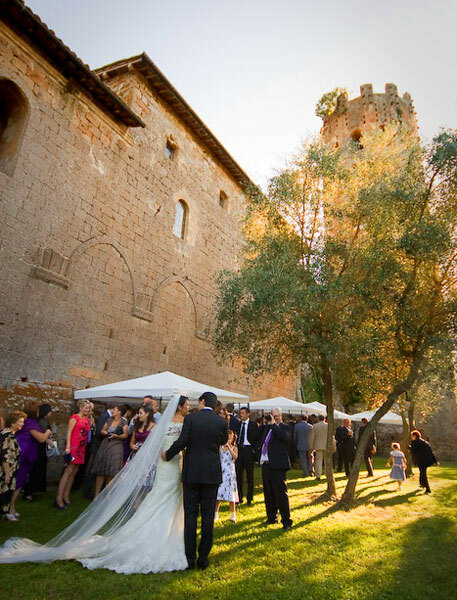 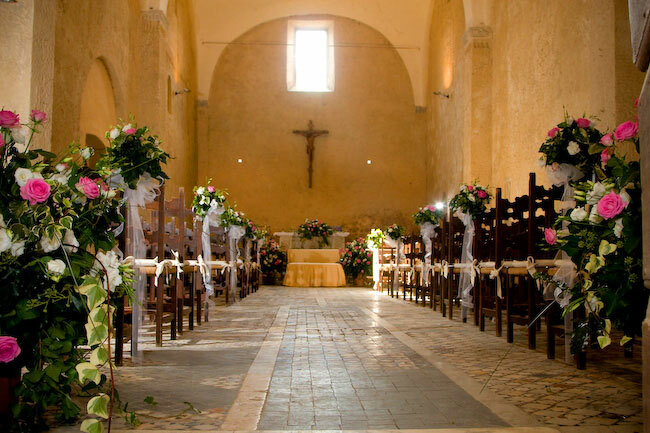 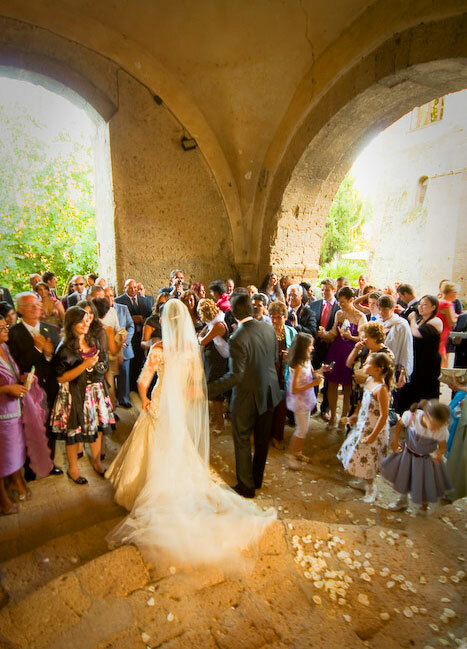 The extraordinary 12th century Romanesque church, adorned with 12th and 14th century frescoes, is a perfect setting for romantic weddings. 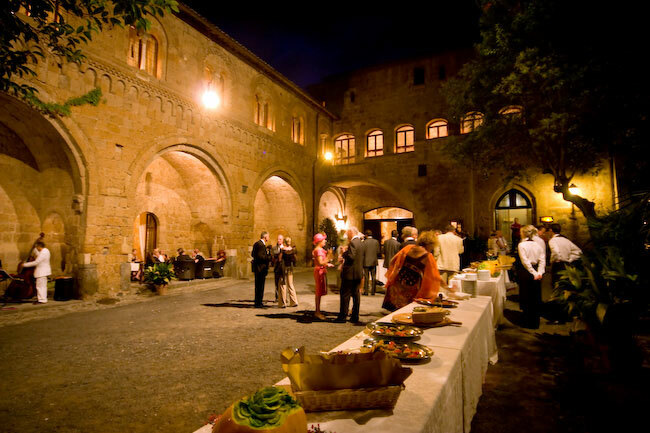 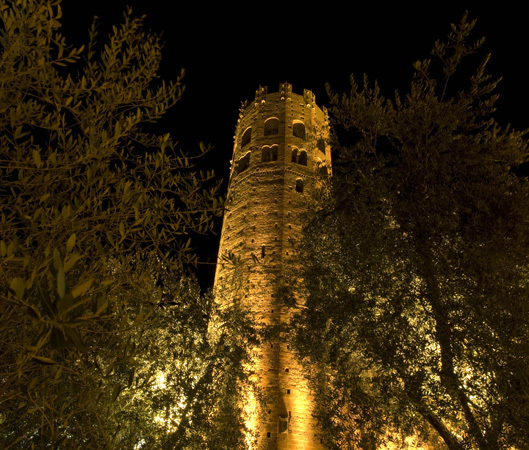 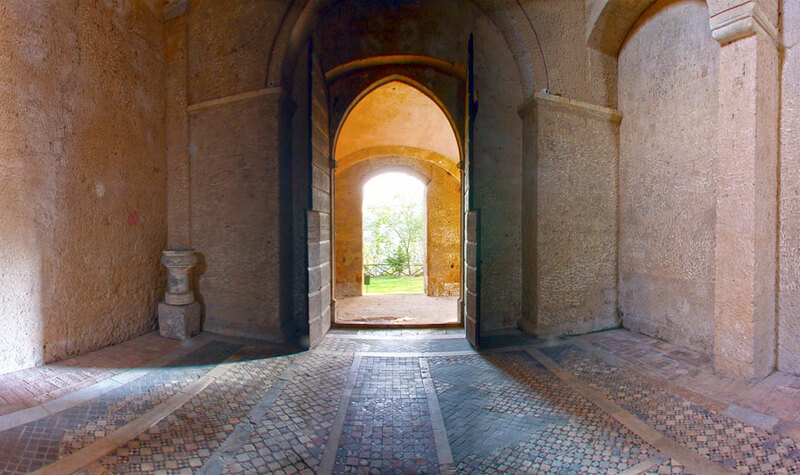 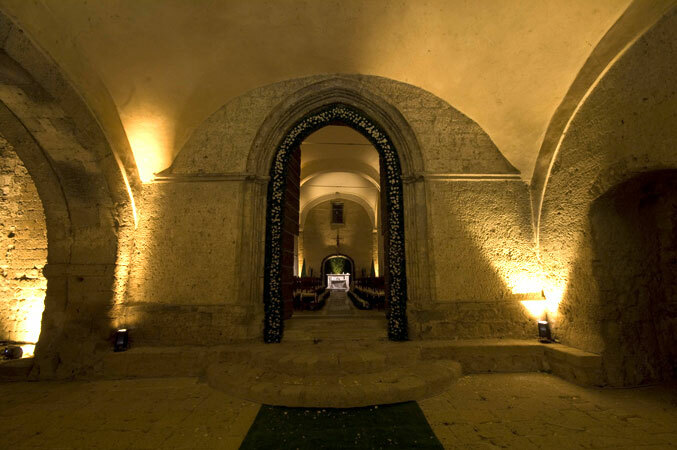 The rare and historic atmosphere of the buildings, the beauty of the frescoes and the lush surroundings leaves you with tender and touching memories. 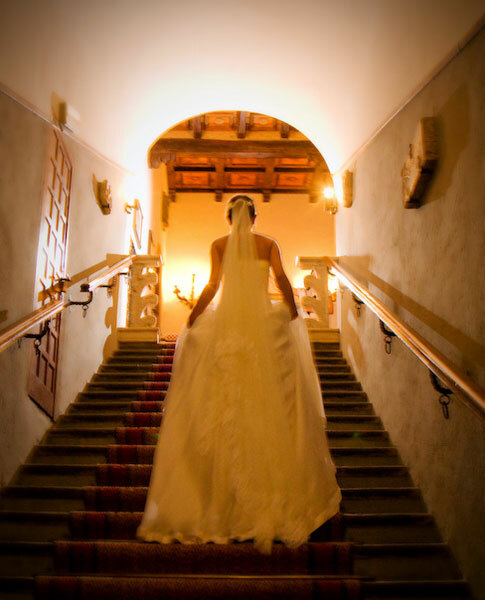 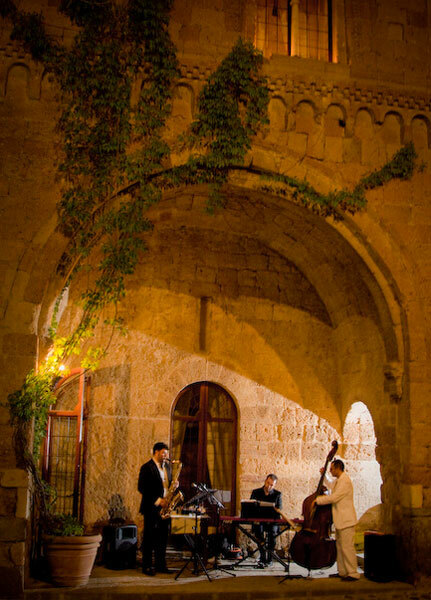 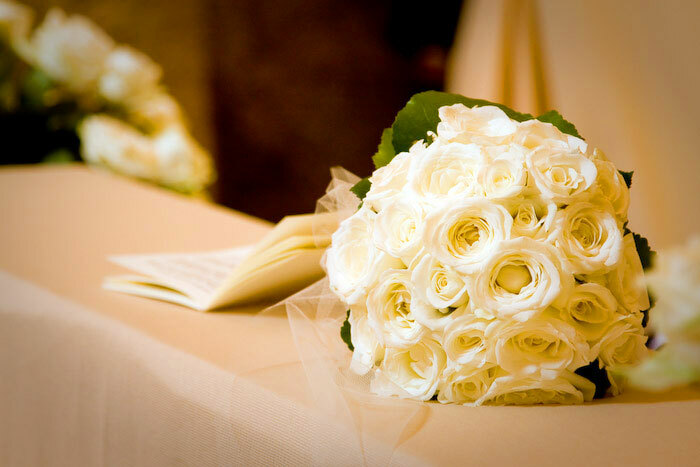 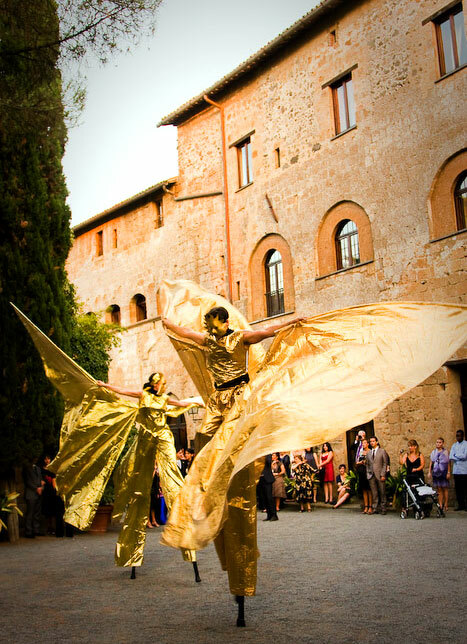 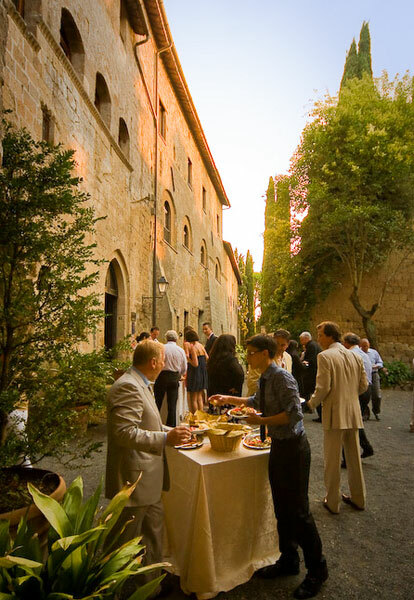 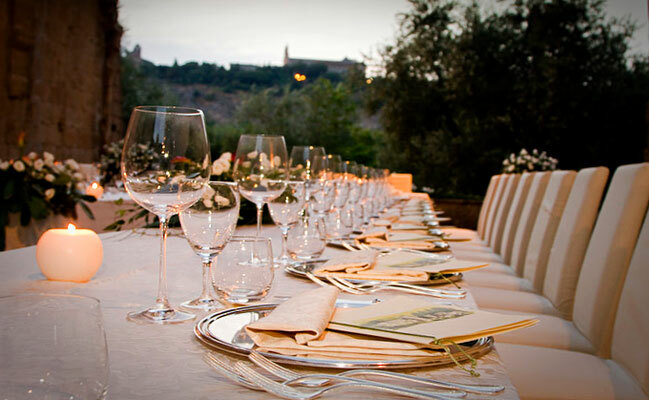 Elegant receptions and special events are organized in our lounges or in the beautiful lush gardens and courtyards. 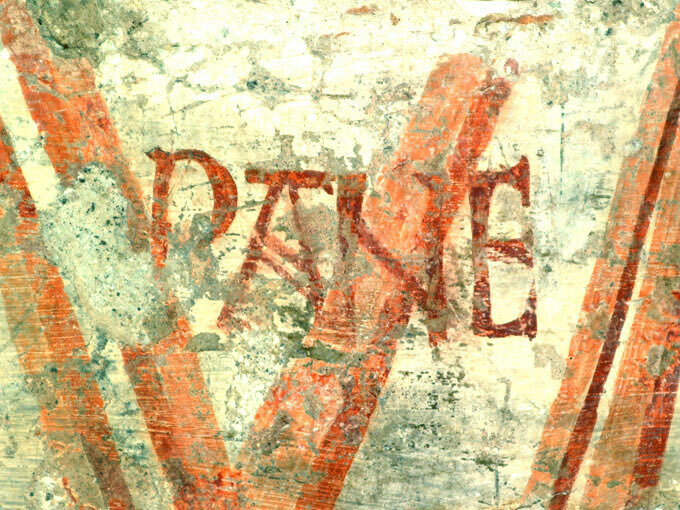 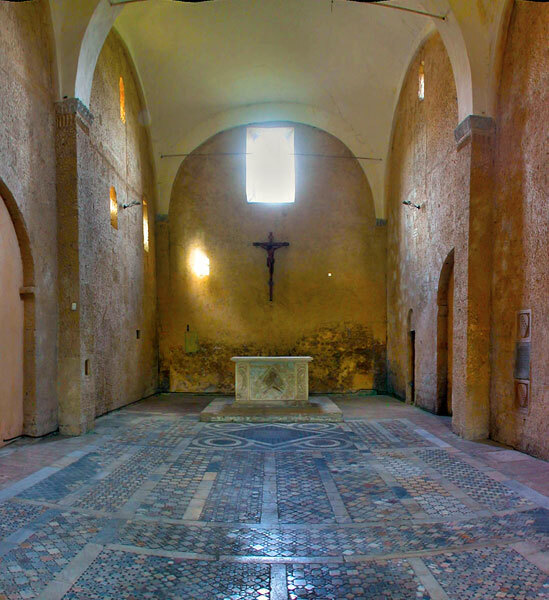 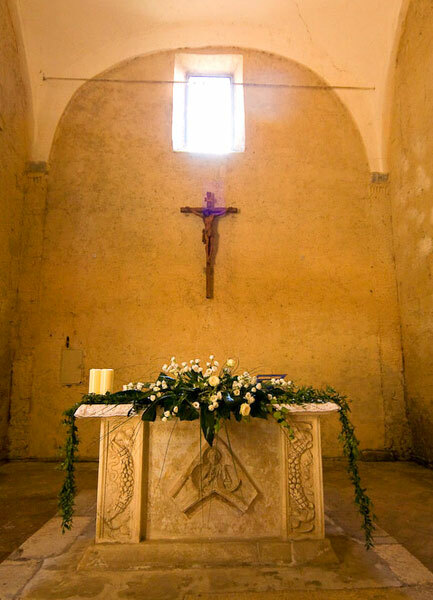 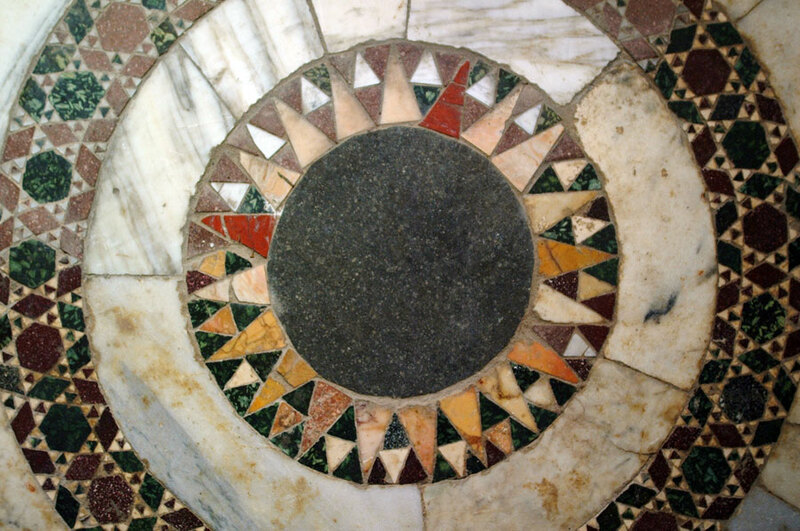 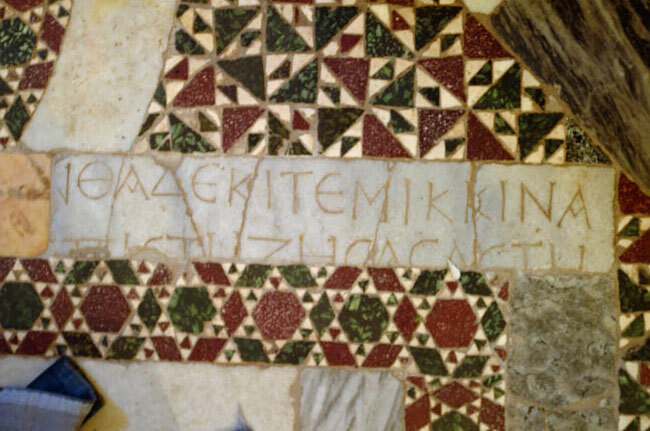 The Church of Romanesque origin has a precious Cosmati work floor at the foot of the altar – a carpet of mosaic tesserae in white marble, red porphyry and dark-green serpentine, still perfectly preserved trough the centuries. 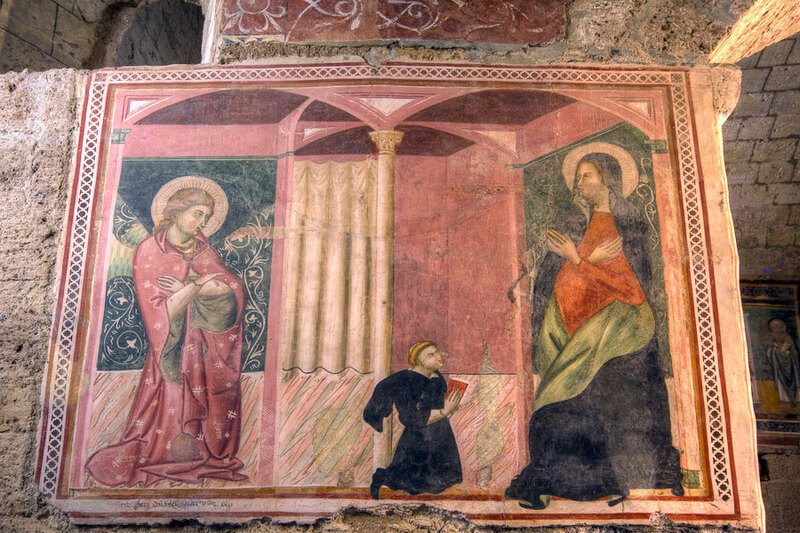 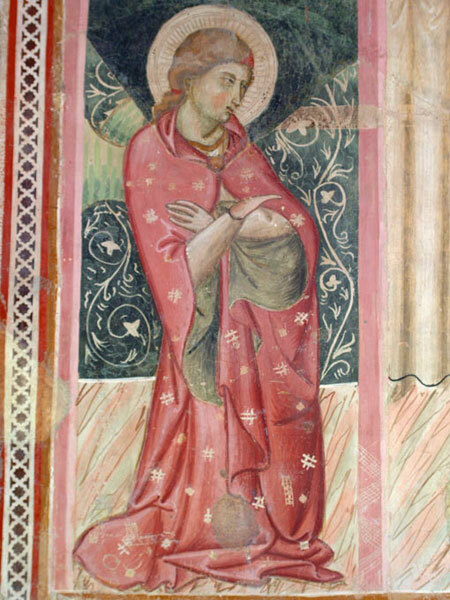 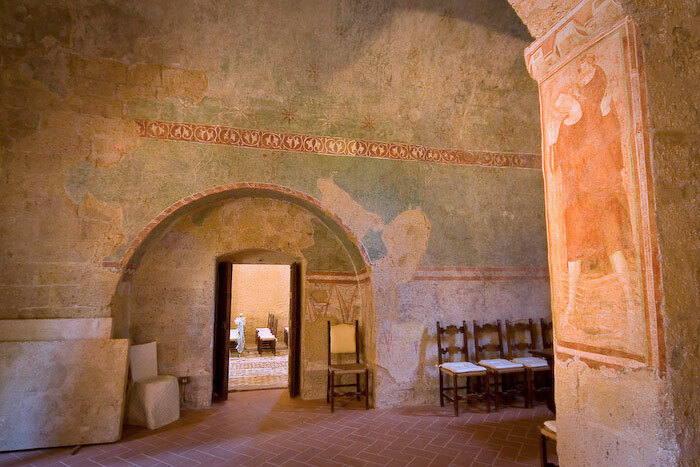 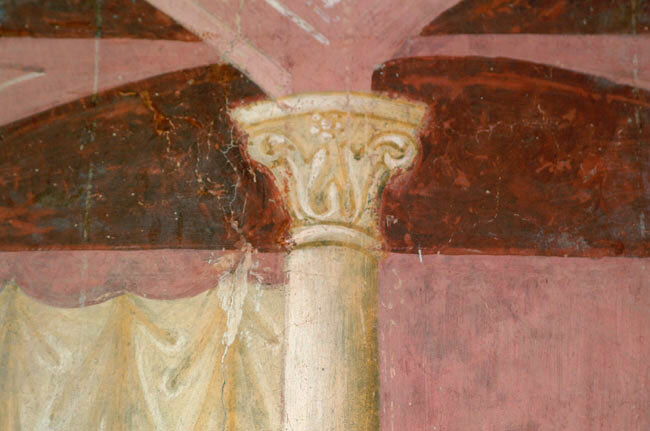 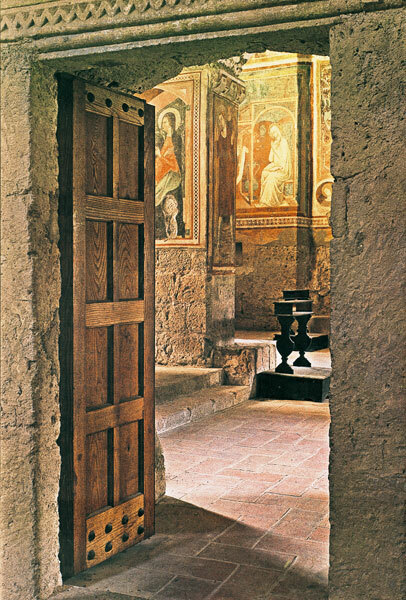 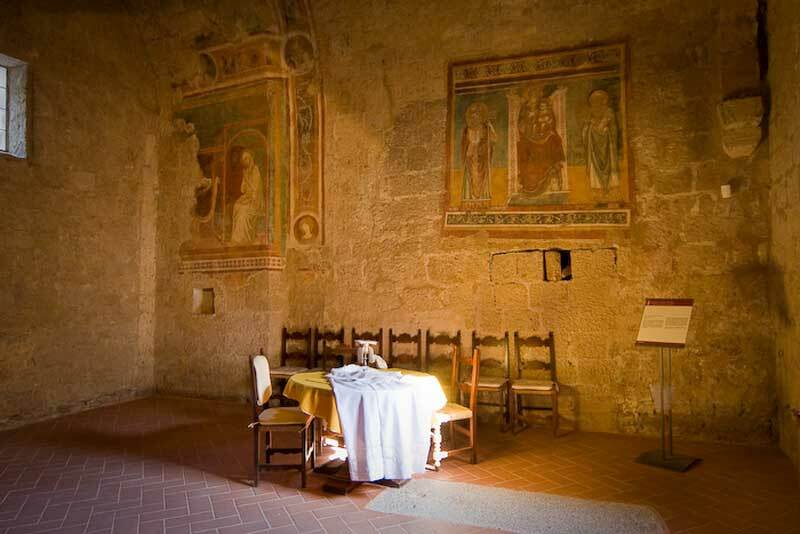 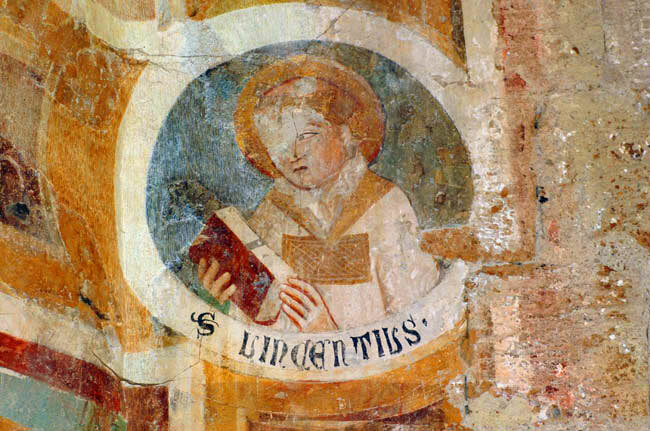 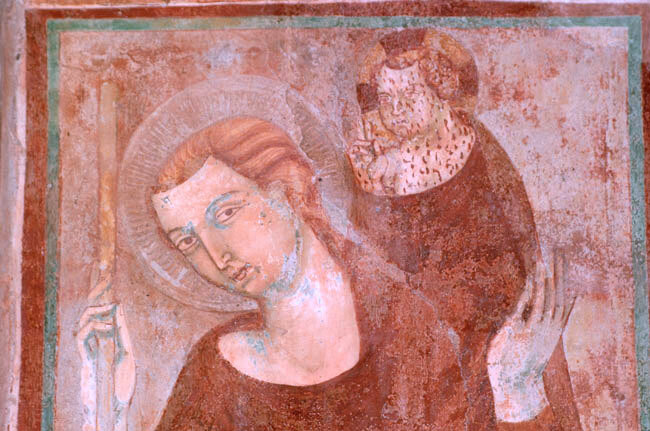 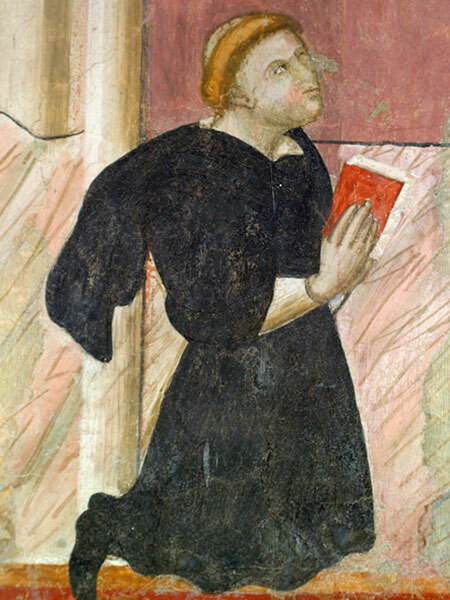 The frescoes adorning the walls of the Sacristy date back to the 13th and 14th centuries.